Reports of a Sudanese woman being sentenced to death for being a Christian, marrying a Christian man, and having children outside of the Islamic faith. Meriam Ibrahim, 27, was convicted on charges of “apostasy” — the crime of abandoning or renouncing a religion. The court also ordered Ibrahim — who married a Christian man in 2011 and is eight months pregnant — to receive 100 lashes for “adultery” because her marriage is considered void under sharia law. The couple has a child, a 20-month-old boy, who is currently in detention with her. The reports all say the same things. She was abandoned by her Islamic Father as a child and raise in the Orthodox Church. However, Sudanese/Islamic law says that your faith is based on your father and not personal profession. The US and UK have both condemned the court’s ruling and Amnesty International has begun to drum up more support for the condemned woman; however, her time is short. Please pray for her today and all women being prosecuted for their faith. Especially remember the Girls in Nigeria as well. 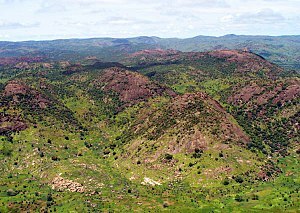 Darfur Redux: Is ‘Ethnic Cleansing’ Occurring in Sudan’s Nuba Mountains? – TIME. Nuba now view the U.N. peacekeepers, the only major international presence now on the ground, with shades of deep suspicion and anger for failing to keep any peace. Said one local church official collecting reports from across the state: “People are getting hopeless. There is no food, and no where to go.” It seems even splitting Sudan up might not be enough to keep the nation from falling apart. About a month ago, many across the world thought that the issues in Sudan may begin to settle down but it appears that it is only getting worse. As Southern Sudan moves for complete political autonomy, the issues of social and religious differences is tearing the country apart. Those who seek power for its own benefit will reduce the weak and merge to ruble. President Bashir and his political followers in Sudan and Southern Sudan will continue to feel emboldened to response to the deterioration of Southern Sudan’s weak central government.